Solid economic and social stability has been one of the major objectives of concern for the last several decades to reciprocate the brotherly peoples of Ethiopia and Eritrea. This key geo-economic and strategic perspective for survival and security in the crucial geopolitics of the Red-Sea has indeed been the matter of fact worrying both peoples more than ever. It would not only mean that the two nations have bilateral interests concerning the Sea, but also the history of extensive demographic, governance and economic attachments between each other. It has always been of great importance to allow Ethiopia and Eritrea move towards a gradual reconciliation of political resentment and wrong narratives to accommodate common progress. Our peoples can adopt structurally needed changes under visionary and proactive leaders who can correct political and social discrepancies. Ethiopia has made considerable economic progress in the past years. The Country is striving for ethnic federalism, and it has been a long time demanding structural reforms over the Constitution and government policies. This writer is now living in the diaspora and is benevolent commentator who do not have affiliation with any political party anywhere. The Ethiopian New Prime Minister Abiy Ahmed Ali is Charismatic, delivering the narration and rhetoric of Ethiopian unity and shared interests in a country striving for ethnic federalism with instability. 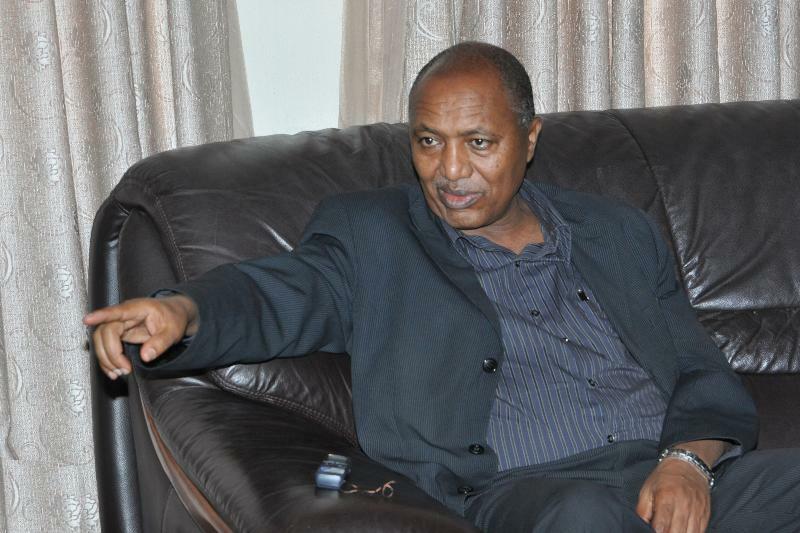 The Prime Minister who is also the Chairman of the EPRDF (Ethiopian Peoples’ Revolutionary Democratic Front) ruling party has made many reconciliatory speeches as well as important promises to enhance the socio-economy when touring across the Country. Prime Minister Abiy Ahmed has earned great public support for motivating and emphasising ‘Ethiopian Nationalism’ in reiteration; saying for example, “Medemer/Tedemer” (combine/togetherness). 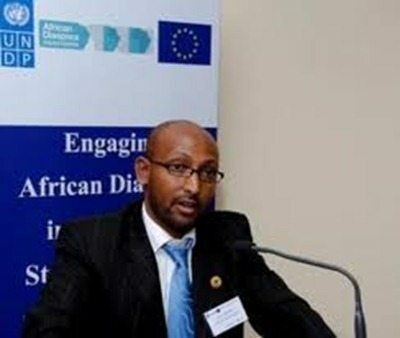 Dr. Abiy has taken several administrative measures through his Government: Preaching for more freedom of citizens and widening political space, including the press and removing the blockade on many websites; the announcement of general-pardon (no matter who is at fault) to domestic and diaspora opponents getting together with their relatives; and releasing over a thousand prisoners in the Country and abroad. 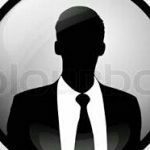 Meanwhile, there are critics saying that the new Prime Minister leading the debilitating EPRDF Congress is rushing into privatizing the long standing core assets of the Country such as the Telecommunication Sector and Air Lines without public involvement or open intellectual debates to bring possible alternatives. So there is blame on that decision. The opposition leaders of Ginbot-7, ODF (Oromo Democratic Front) and TAND (Tigray Alliance for National Democracy) have all welcomed the earnest call of Prime Minister Abiy Executive Cabinet to get together for peace and reconciliation. Other personalities of former governments and civic organizations in the diaspora are following suit and visiting Addis Ababa. All those political, social and economic measures are expected to show high responsibility to the Ethiopian general public and contribute for national reconciliation without the desire for vengeance, even apply ‘reciprocal immunity’ methods as not to derail the prevailing stability. There is a fear that the wave of change in Ethiopia might bring uncertain future. Stability and progress in Ethiopia is a very demanding one to the whole African region, especially to Eritrea. Ethiopia needs articulated statesmen to draw out insightful provisions and proper measures suiting national unity and socio-economic development. Another major move in Ethiopia today is that the Prime Minister Abiy Ahmed during his inaugural statements on April 02, 2018 told the public, his government is ready to resume dialogue and diplomatic relation with Eritrea. Of course that had been said by his predecessors, Prime Minister Meles Zenawi and Prime Minister Hailemariam Desalegn but failed due to the lack of mutual trust. What Prime Minister Abiy said: “We are fully committed to reconcile with our Eritrean brothers and sisters“, was one among his other humorous statements in appealing the Eritrean people and the Government for peace and bilateral cooperation. President Isaias Afeworki of Eritrea, who had been quite stubborn for two decades, has later accepted to PM Abiy’s earnest call during ‘Martyrs’ Day’ of June 20, 2018, in Asmara. Isaias said that the lost opportunity between the two sisterly nations is so regretful. Soon, on June 23, the Government of Eritrea sent a delegation to Addis Ababa, led by Foreign Minister Osman Saleh and Head of Political Affairs Yemane Gebreab. The delegate was received directly by the Ethiopian Prime Minister, along high officials in the Government, and other dignitaries. Both parties got together by sharing great emotions and good fraternal communications, indicating fast and meaningful relations to come. Following the event, Ethiopian Foreign Minister Workeneh Gebeyehu told ETV (Ethiopian Television) that there is a plan where President Isaias Afewerki and Prime Minister Abiy will convene soon for bilateral talks. I hear that the very majority people of Ethiopia and Eritrea are so happy about the ‘News’ telling initiatives for peace and relationships between each other. Several political oppositions operating within the Ethiopian Nation and from the diaspora; experiences and analyses of intellectual and scholarly publications educating people; artist singers and dramas grabbing the emotions of folks; religious leaders; interviews and speakers including from the international community have all loudly voiced their opinions. The general message or approach is to heal past wounds for harmonious relationships and share interests with recognition of deep historical ties in cultures and governance between the people of Ethiopia and Eritrea. I think it is appropriate to mention that there are strong scholarly publications and arguments of dissatisfaction, or even territorial claims by some Ethiopian brothers after the separation of Eritrea, and the geopolitical pressure surrounding the Red Sea that so many of us witness today. I believe many of those views would also appreciate the vision for unity and common progress, rather than fighting on such issues. I would like to mention the following examples of public and intellectual engagements for reconciliation and progress regarding Ethiopia and Eritrea, while appreciating other contributors with valuable works in attributing courage for our national concerns. My intention of mentioning the personalities is not only to give a credit to the individual or a group that deserve it, but also to reconcile various opinions or views and develop the meeting of minds for our common good. In April 2018, I watched the news coverage on Ethiopian Television (ETV) where civic society, religious representatives, the elderly and youth generation attended the conference in a brotherhood atmosphere, showing the growing desire for cooperation between our peoples. Former Ethiopian President Girma Woldegiorgis, imagine 93 year old enthusiastic man, led the conference with nostalgic and wise approaches to bring Eritrea and Ethiopia together for common interests. The “Ethiopian and Eritrea Friendship Conference” which has been held annually in USA since March 2009 by several motivated intellectuals from both sides has been recognizing the nostalgia in addressing the needs for people to people relationships and economic progress between these two sisterly nations. Professor Tesfasion Medhane, Professor Daniel Kinde and Dr. Mesfun Araia (now deceased) are all known as the long standing pioneers coordinating the annual Forum. Prof. Daniel, Prof. Tesfasion and other scholars are teaching their perspectives for a federation, or a confederation between our peoples. There have also been similar commentaries and gathering in the diaspora. For example, I have listened to an interesting video clip of October 2015 organized by ESAT and Vision Ethiopia together in Washington DC, a special panel discussion carried by several scholars and intellectuals entitled ‘Ethiopia and Eritrea relations present and future’. The bold long standing scholar and writer Professor Mesfin Wolde Mariam now 87 years old; Ambassador Kassa Kebede, who was an official in the Dergue regime; and former USA Ambassador Hank Cohen, who was Assistant Secretary of State for African Affairs and he is very familiar with Ethiopian and Eritrean politics were among other invited speakers and concerned participants. Mr. Cohen has also contributed some pieces to raise public awareness, including a mediatory approach for Ethiopia and Eritrea. Unity oriented scholars and experienced personnel such as, I would say: Dr. Galawdeous Araia, Ato Yasin Mohammad and Shaleka Dawit Woldegiorgis may all help with national, geopolitical issues and international laws during bilateral negotiations. All those who have contributed constructive views or reliable works are potential sources in supporting the cause for people to people relationships and further integration between our peoples. Such credits deserve to be invited or consulted during dialogues between Ethiopia and Eritrea to increase the meeting of minds for our common good; making the peace process cohesive, appeasing and successful at national levels. The Red Sea is geostrategic gateway linking the Mediterranean Sea and the Indian Ocean through the Suez Canal and the Bab al Mandeb respectively. The territorial water of the Red Sea proper is shared by: Eritrea, Yemen, Egypt, Saudi Arabia, Sudan and Djibouti. Israel and Jordan touch the Red Sea through the narrow waters of the Gulf of Aqaba. Prime Minister Abiy Ahmed is very active and has made formal visits to Djibouti, Sudan, Kenya, Saudi-Arabia, Uganda, Egypt, Ruanda and Somalia to increase cooperation. It has been told that Abiy signed agreements for Ethiopia to have a share in the ports of Djibouti; a rail route Addis Ababa via Khartoum; and tourism experience with Kenya; among other social and economic enhancements in the greater region. Meanwhile, it is very appropriate to make geopolitical assessment of the region under scrambling for interests to justify the needs for mutual survival and security deserving of Ethiopia and Eritrea. All countries neighbouring Eritrea have their own access to the Sea including deployment of naval forces with the exception of Ethiopia. Then Ethiopia is geo-strategically more important to Eritrea, and vice versa. The simple logic is that the small and poor Red Sea state of Eritrea could have been made very reliable socio-economic progress through close cooperation with populated Ethiopia. After the pretexted border war between Ethiopia and its former Province Eritrea that broke in the mid of 1998, more than 95% of Ethiopia’s maritime traffic depends on the ports of Djibouti such as Doraleh and Tadjourah. Nowadays, Djibouti is said to have been making around two billion US dollars annually by delivering port services to the Ethiopian large economy. The United Arab Emirates (UAE) state-owned Dubai World Wide Port Operations (DP World) had a great joint venture with Djibouti. Our neighbour Djibouti, which is a very small country, has been working with Chinese companies in expanding large infrastructure, including port terminal and a pipe line project mainly to serve Ethiopia. This country is carrying huge ports operation for various business centres connecting the surrounding region. There is importance to recognize the investments made however. For example: the new Ethiopia-Djibouti railway has begun commercial operations since January 2018 serving passengers and freight. On the other hand, our neighbour Djibouti hosts military bases for several potential countries in competition among each other: France is over a century there, the United States since May 2003, Japan since 2009. 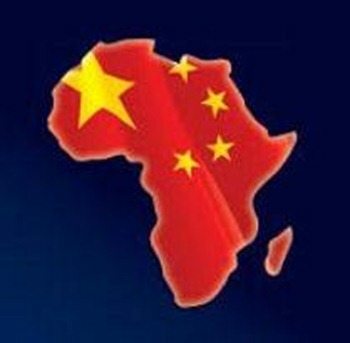 According to Financial Times of March 2016, China has made its first overseas agreement with Djibouti setting up its military base and paying over $20 million a year for leasing the space. Russia and Turkey are also powerful countries now showing their interest in the Red Sea region. So, there may be a risk of geopolitical instability when hosting and leasing accommodations to multifaceted foreign military bases. Then, given Djibouti’s crowded or intensively growing busy maritime services in the region, puzzling with potential international military bases influencing geopolitical policies, how much is the Djiboutian Sea gateway reliable to a largely growing population of Ethiopia? Can Djibouti, a tiny country as such afford all these military and economic geopolitical loads? Those are I think the major issues of argument to revise in a logical, transparency and friendly manner. Ethiopia’s frustration of dependency and hypocrisy on maritime access has been increasing to establish new infrastructural routes linking to other neighbour countries. The way via Port Sudan has already been underway and is open for some few services. A plan to establishment a land route from Ethiopia and South-Sudan to the Port of Lamu of Kenya has also been signed. 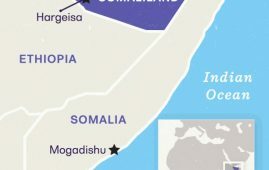 Our neighbour Somaliland, a de facto State is promoting its port of Berbera to savvy the opportunity with landlocked Ethiopia’s huge market, where Ethiopia has already bought a stake in developing the port of Berbera. In the meantime, Ethiopia is building major power transmission lines to supply its immediate neighbours and East African countries with electricity, contributing to the regional integration provisions. Despite the Ethiopian desperate needs for a reliable or potential access to the Sea, the EPRDF/TPLF Government has wasted time by pushing UN sanctions and regional sympathy of containment policy against Eritrea. For example, according to Sudan Tribune News of August 2010, Ethiopia, Sudan and Yemen organized the ‘Sana Forum’ claiming for regional peace and security where Djibouti took part in that coalition. One of the main purposes of the Sana Forum was said to express solidarity in accusing Eritrea’s regime for destabilizing behaviour in the Horn of Africa region. Thus, the life-long despotic rule of Isaias Afeworki remained naughty with Ethiopia’s EPRDF provocative reactions contributing isolation and poverty to its own people. The regime has been accused by UN Human Rights Commission for human right violations inside and outside of Eritrea. Despite polarized interventions including bad proxies over major interests, peoples in the geopolitics of the Red Sea and the surrounding have historical ties in trade, demography and cultures. For Example: Many Islamic scholars and several other references witness that the Prophet Mohammad himself during the early birth of the Religion of Islam circa 620 A.D. sent over 120 messengers to escape persecution from Arabia infidel governors heading to the Christian King Nejash (Negash) in the “Land of Habash” which was under the Axumite Civilization extending across the South of the Red Sea. The Axumite Civilization is a milestone to the Ethiopian peoples’ national identity and history. After careful inquiries, King Negash rejected the extradition request by the governor in Arabia, and welcomed by granting asylum. 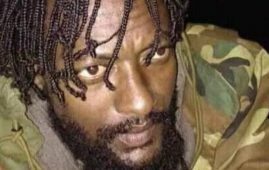 The king ordered further protection to those desperate Islam refuges where the Mosque called ‘Nagash’ is one of the symbolic sites in Tigray Region, Ethiopia. The credit of the people of King Nagash is clearly stated in the Quran that the Prophet Mohammad seriously instructed not to attack or cause any harm to the Land of Habash (Abyssinia). Habasha is generally referred to the largest part of the Axumite Empire which is the historical old name for Ethiopia including today Eritrea, as well as some brotherhood territories now in the Sudan, Yemen and Somalia. Habash means in Arabic “mixed”, denoting that the “Land of Habasha” which is Abyssinia or Ethiopia in the largest context belongs to its mixed or diversified races of people. Therefore Ethiopia deserves support in spiritual, social gratitude and political stability for its great contribution stipulated in the Islamic literature. Former and present day Ethiopian leaders have had sought multilateral cooperation with the downstream, and not really to take over the Nile waters. The current efforts being underway for deserving relationship between Eritrea and Ethiopia through President Isaias Afeworki and Prime Minister Abiy Ahmed would have to work together to earn geopolitical cooperation and full confidence from the Nile Down Stream, our neighbours Egypt and Sudan. Ethiopia as a country has considerable water resources other than its Nile waters; versus Egypt in total dependence on the Nile River. However, other means of water technology may be possible in the future to supplement these riparian nations of large populations. As such, there are reasons to defuse tensions of capitalization on the Nile issue, and related conflict of interest over the Red Sea region that would support to bring Ethiopia and Eritrea together for regional stability. Three decades ago, this writer was employed for an international planning and consulting company serving in the economic sector of Ethiopia’s Original Tana-Beles Sub-basin of the Blue Nile. The agricultural and rural development operations of that extensive Project were carried out under considerable internal and external challenges. I had the opportunity to share credible occupational and professional experiences from that multi sectorial project, where Ethiopia did not have the intention to cause harm over water use to downstream countries. Ethiopia which contributes over 85 percent of the Nile waters is now highly populated and suffers from frequent drought calamites. The Country’s motive has always been to use lightly its natural resource towards poverty reduction strategy, while sharing the concerns and interests of other Nile riparian nations, particularly our downstream partners. When it comes to the troubling twenty years old so-called border predicament between Eritrea and Ethiopia, a virtual demarcation including Badme to Eritrea was already made in April 2002, according to the binding agreement of the “Boundary Commission”. But that decision has always been facing continuous opposition by many Ethiopian scholars, including open resistance and discontent from the local communities along the borders. The huge bilateral damages at national levels are so indisputable. But I would like to mention particularly about the people on both sides of the border that are severely subjected to the war calamities, including provocative skirmishes. These neighbouring communities have still been suffering from the dogmatic predicament. I had known to some of those communities that enjoyed good social relations in intermarriage traditions and substantial economic attachments. I think that remains nostalgia to date and demands harmonious solutions. Then, it requires public consultation when the border demarcation is a must alternative. “Resolve the Root Causes of the Conflict Through Dialogue With the View to Normalize Relations Between the Two Countries”….”The tension between the two countries can be diffused only when the underlying problems that caused the tension are addressed”. Prime Minister Meles Zenawi of Ethiopia, had an interview with African-confidential.com, a London based news letter, on May 03, 2009, in Addis Abeba. With regard to the questions on the border issue and further relations with Eritrea, Mr. Meles emphasized that “the boundary was a symptom of an underlying sickness and you do not cure a sickness by treating its symptoms only. Therefore, Ethiopia is in need of dialogue, but Eritrea is not engaging us in dialogue. President Isaias Afeworki of Eritrea gave an extensive interview to the Ethiopianreview.com in May 2009, in Asmara. He said that “the border conflict which was insanity to me was never ever an issue”. “There was no border threat at all” Isaias added. Despite the fact that Isaias Afeworki has been known as a manipulative leader in the Eritrean politics, he meaningfully told the Ethiopian Review Reporters that “Eritrea without cooperation with Ethiopia is a vacuum”, and “the sky is the limit for Ethiopia and Eritrea integration,” Mr. Isaias said. Remember: worldwide, there are approximately 100 boundary disputes between countries. (Please see the article of March 2010 at the end). It mentions several nations with problems of border disputes and teaching us that it does not mean to do only with physical ruling or demarcation of territories and close case files. There should be something to do with the aftermath of historical attachments, perpetual interests and psychologies. Therefore, the main issue of concern between Ethiopia and Eritrea would not mean the border. It is the great needs between Eritrea and Ethiopia for survival and security in geopolitics of the Red-Sea. Understanding the trends surrounding the puzzling region, and enforce new mutual policies for economic and geopolitical reasons is the way forward. Ethiopia and Eritrea can develop the portion of the Red Sea together in several ways including naval capacity while cooperating with their neighbours for peace and common progress. Ethiopia definitely needs to revise its domestic and foreign policies for reciprocal value in geo-economic and geo-strategic with Eritrea and alleviate the total dependency on infrastructural and commercial access through various sea ports in the region. The ongoing cooperation in commercial access between Ethiopia and Djibouti is necessary of course. Eritrea and Djibouti will have to be fair between each other in sharing interests over port services to Ethiopia. I think a small amount of service in commercial access with Somaliland is going to be helpful for Ethiopia. Meanwhile, the large Ethiopian economy has to work with economic chains of all neighbouring countries for regional success. 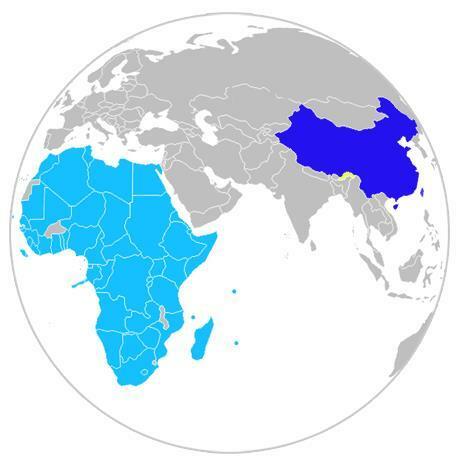 All the countries in the region can develop people to people rapprochements in the spirit of economic cooperation to build confidence and social harmony adhering to IGAD (Intergovernmental Authority on Development) outlined perspectives in the greater part of the African Continent. On the other hand, fellow Eritreans must comprehend and recognize that Eritrea has great strategic value to Ethiopia, but much less strategic value to the rest of the world. Any country with sea territory or a water gateway would not mean it benefits its people unless there is a unique partnership and permanently reliable market value attached to socio-economic endeavours. Eritreans indeed have to regret the lost opportunities of generations, and move forward with full understanding, courage and determination. For Eritrea, the Red Sea is a matter of lifeline and survival requiring priority to utilize this potential resource. I see this big task has been long overdue and must be achieved by anybody for the sake of national interest before opportunities are completely exhausted and trigger worst scenario. We cannot live on parroting the same behaviours of old mindset when other nations are scrambling the region for their own interests. There is also importance to understand the economic hardship causing dissatisfaction in the livelihoods of our Eritrean and Ethiopian Afar people, as well as other local communities along the coast of the Red Sea. Eritrea needs to acquire or build substantial capital composition to enrol its poor people in the fast moving economy of our greater region and further global challenges. Remember: relationship with Ethiopia will open the doors for good, giving some sort of relief and freedom. I hope President Isaias Afeworki and Prime Minister Abiy Ahmed will agree to normalize the situation and allow open the doors first. Afterwards, subsequent dialogues would be carried out between the governments of Ethiopia and Eritrea that should consult other stake-owners. It is most important to examine or reason out the status quant and the status quo carefully in respect to national as well as geopolitical situations to adopt and implement new mutual policies. In my expectation, discussions and agreements between the two leaders would resolve not only the Ethio-Eritrean core issues, but will also contribute towards resolving ethnic conflict/tension in Ethiopia, particularly with regard to Tigray Region. Basically however, Ethiopians including Tigray people have to show the wisdom and great tolerance in resolving their own national issues. Pres. Isaias and PM Abiy will have such great opportunity to share insights and national experiences that would be a necessary contribution to build full confidence for reconciliation, as well as future steps towards economic integration and possible unity to accommodate for today and future generations.